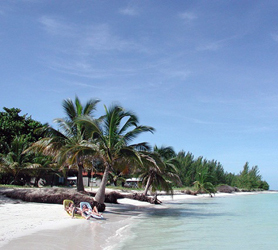 Choosing a Hotel on the Villa Clara Province island of Cayo Ensenachos is easy. Why? Because there is just one! Click the “Reserve” button to see reviews, latest information and check rates and availability for your Hotel in Cayo Ensenachos. Iberostar Cayo Ensenachos in Jardines del Rey has the whole Ensenachos island to itself thus, taking the name for the Hotel! Separated by the Ensenachos Beach, the two divisions of the hotel are split by a slither of land which incorporates not much more than the road and the aforementioned beach. Hotel Iberostar Cayo Ensenachos has 506 rooms, divided into 270 accommodations in the Park section (for families), 190 rooms in the SPA section (adults only) along with 46 luxury duplex villas. These two bedroom villas offer 1 King bedroom and one 2 bedroom with double beds. All villas boast private terrace with a decked Jacuzzi. The Ensenachos Spa & Wellness Center features state-of-the-art technology throughout, offering a complete range of luxury Spa treatments, including; a lap pool, professional-level fitness gym, multi-person sauna, Jacuzzis, and beauty salon. Iberostar Ensenachos proposes an epic 6 restaurants to its visitors! First, there’s the Azia Japanese restaurant featuring a sushi bar and spectacular Teppanyaki live cooking show. Try the Maki sushi, Soba Soup, Nigiri-sushi, Ikura Sashimi and more Japanese delicacies. Next up, another firm guest favorite is the Palazzo Italian Restaurant with its mouth-watering pasta Puttanesca, fresh ricotta meatballs, Spaghetti Carbonara, home-made pizzas followed by maybe a fresh Tiramisu or Ricotta Almond Cake? Italian wines are also available with a mesmerizing assortment of Pinot grigio, Vermentino, Arneis, Moscato and many more whites. The reds include top favorites like Tuscan Sangiovese, Sagrantino from Umbria or the delectable Dolcetto from Piedmont. If you’re looking to eat quickly, the quality of Ventanas Buffet is beyond reproach. Serving a delicious range of various dishes during lunch (12:30 PM – 02:30 PM) and dinners (06:30 PM – 10:00 PM). The Ventanas also caters to breakfast, from (7 to 10am). For a meal with some true Mediterranean flair then try the La Punta del Pirata Restaurant where you can savor broiled freshly caught Caribbean fish, shellfish, crustaceans and delicious fresh salads. For guests lucky enough to be staying at the Grand Village there’s the El Colonial Gourmet Restaurant offering a delicious a-la-carte menu with amazing variety and 5 star table service. The startling amphitheater nighttime shows are simply out of this world. Cabarets, Live bands, Theatre and Broadway type shows compel you to spend the night glued to your chair. For the kids it’s a magical time at the Iberostar Ensenachos with fun packed games, live shows, dancing lessons and much more. From dawn till dusk your children will be in heaven. Everyday there’s a new adventure. For the youngest guests there’s the Mini-Club and a childcare facility featuring painting, supervised pool time, games, Ping-Pong and much, much more. If you want to revel very own paradise then the virgin beaches of Playa Ensenachos, located between the two areas of the resort, or the smaller Playa Megano near the Spa Center are simply outstanding. These beaches are simply incomparable with any we’ve ever seen or may ever see. Fine almost powder-like brilliant white sand, natural palms leaning towards the beach surrounded by lush exotic vegetation. One word? – Idyllic. Overall the Iberostar Cayo Ensenachos (previously the Royal Hideaway Ensenachos) is an outstanding venue for a relaxing vacation. You can sense that great care has been taken to ensure that the resort not only makes use of, but also takes full advantage of these untouched natural surroundings. The wildlife is beyond belief; you won’t have any problem discovering; flamingos, herons, cormorants and many others just stood within yards of you, blissfully aware but unperturbed by your presence. If you take into account the crystal clear waters, swimming, snorkeling, diving and water sports, allied to the world’s second largest barrier reef, starting just a few meters from the soft white sandy shores and teaming with marine life and natural corals, this is one truly unique vacation heaven. Our booking process is unique because it shows the best rate from all of these for Iberostar hotel in Cayo Ensenachos and the types of rooms available. 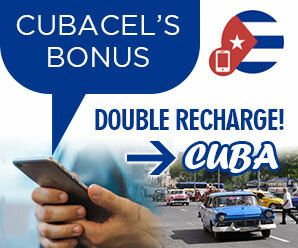 Our Iberostar Cayo Ensenachos rate comparison is an industry first for Cuban Hotels. Once you’ve compared the rates, finalizing the booking at Iberostar Hotel takes just seconds and an immediate confirmation is provided in real-time. But wait! Why not check out all the other Jardines del Rey Hotels before deciding?